Coffee lovers can enjoy the velvety smoothness of cold brew with the indulgently satisfying flavors only experienced at Cinnabon. Cold Brew Iced Coffee is steeped over time versus roasted, which delivers over 60% less acidity than traditionally brewed coffee and iced coffee. This method provides the desired boost of caffeine with a naturally smoother and sweet profile; the perfect base for the delicious flavors offered at Cinnabon. With spicy hints of cinnamon and creamy traces of the brand's beloved cream cheese frosting, The Signature Cinnamon Roll Cold Brew provides the irresistible Cinnabon experience in a cup. The seasonal Salted Caramel flavor is ideal for guests looking for their favorite sweet and salty fix, and Vanilla adds a classic, subtle sweetness popular among coffee lovers. 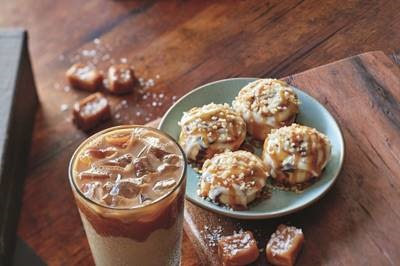 "Our new Cold Brew Iced Coffee is so over the top delicious, we know our guests will see this as another reason why they can't resist the temptation of Cinnabon," said Jill Thomas, vice president of global marketing. "With additional beverage innovations to come later this year, we're excited to offer a one-stop destination for out-of-this-world premium drinks to pair perfectly with our world famous cinnamon rolls."